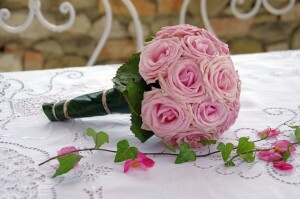 You invest a significant amount of money, time and effort in choosing your bridal bouquet. 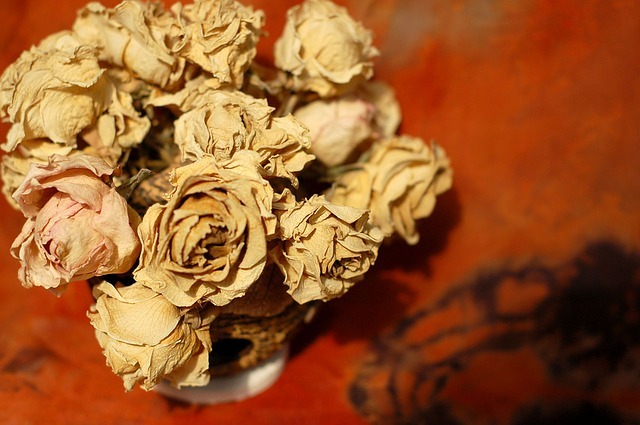 So, don’t you think it is sad that the blooms that played a huge part in transforming you into a bride, can wilt and be lost forever, after the day? Fortunately, there are ways in which you can prevent this, and in fact save your wedding bouquet as a keepsake for the years to come. Here are the different ways you can do this. You can have this done by a professional, or try your hand at it yourself. The technique involves brushing powdered silica gel all over your bouquet (sparing no inch of it), and placing it in an airtight container. The gaps in the container should then be filled with silica gel. It is then left to dry for a week to ten days. Once dried, the color is fixed using a fixing spray, and the bouquet can then be displayed in a glass box or flower vase in your home. This is an expensive method, and one that has to be done by a professional. It can take up to three months to complete. 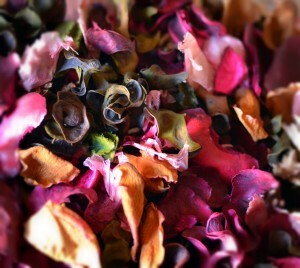 The flowers are treated with starch and then freezer dried in the original bouquet style itself. The benefits of this method are that the bouquet looks pretty similar to how it did originally, but it is perhaps the most expensive of all the other methods. 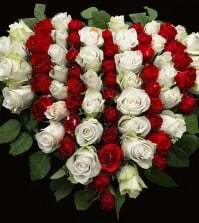 All you have to do is to hang the flowers upside down in a safe area till they are fully dry. 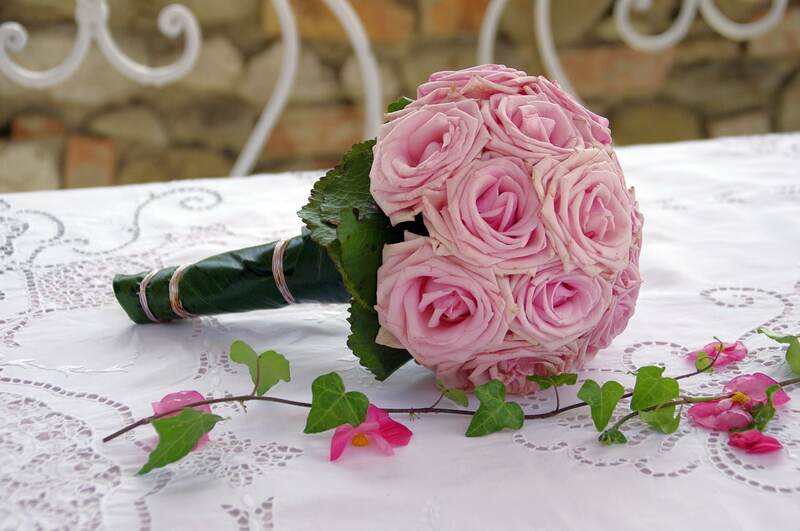 Although the flowers will lose the original look, it will still be a memorable keepsake of your milestone event. Here, you basically remove the flowers from the bouquet and either save all, or a few. You can flatten the blooms by placing them beneath a heavy book or something similar. If you are good with your hands, you can then arrange them in a frame. The alternative is to have them professionally pressed and framed. Either way, you can transform your wedding flowers into a work of art that can be displayed in your new home. Apart from these traditional bouquet preservation options, I found many more fantastic ideas at Pinterest. Let us take a look at some of the most brilliant ones. This idea by Wedding Party is ideal for those of you who are short on space and time. 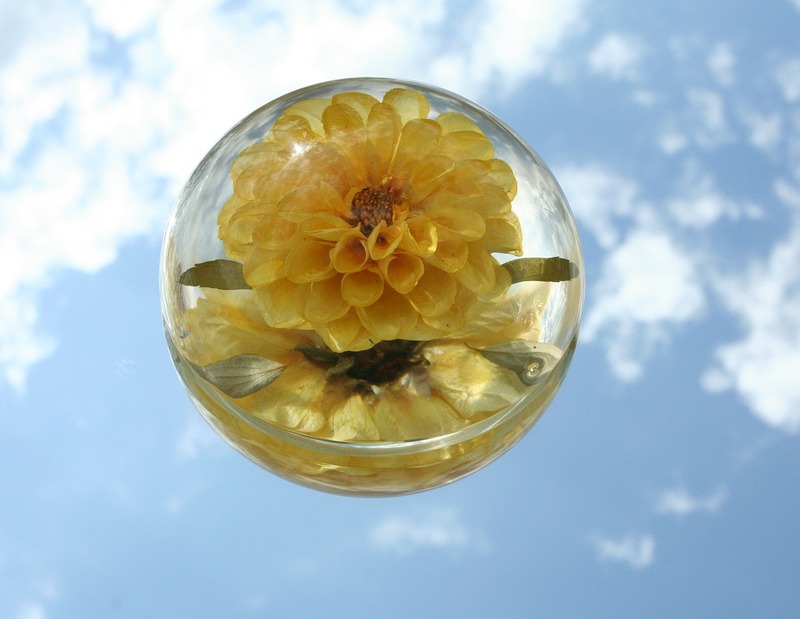 Just grab a few flowers from your bouquet, dry them and pack them into a transparent bauble. Close it off with the cork of a wine bottle used at your wedding, and add your wedding date to the glass ornament. You now have an ornament which you can fondly bring out and display on your Christmas tree every year. The Flower Preservation Workshop company suggests having your wedding flowers converted into a beautiful paperweight. Take a look at how the end result looks, and I am certain you will fall in love with it. Brilliant! Now, tell us which of these will you be using? If you haven’t thought about it yet, it may be a good idea to do so now. For more wedding tips, advice and fun ideas like these, keep visiting us at Best for Bride. I have seen ones dried out I think that looks nice. I have never thought about drying and pressing one into a frame, that is also a good idea. Ah, that paperweight is a great idea!